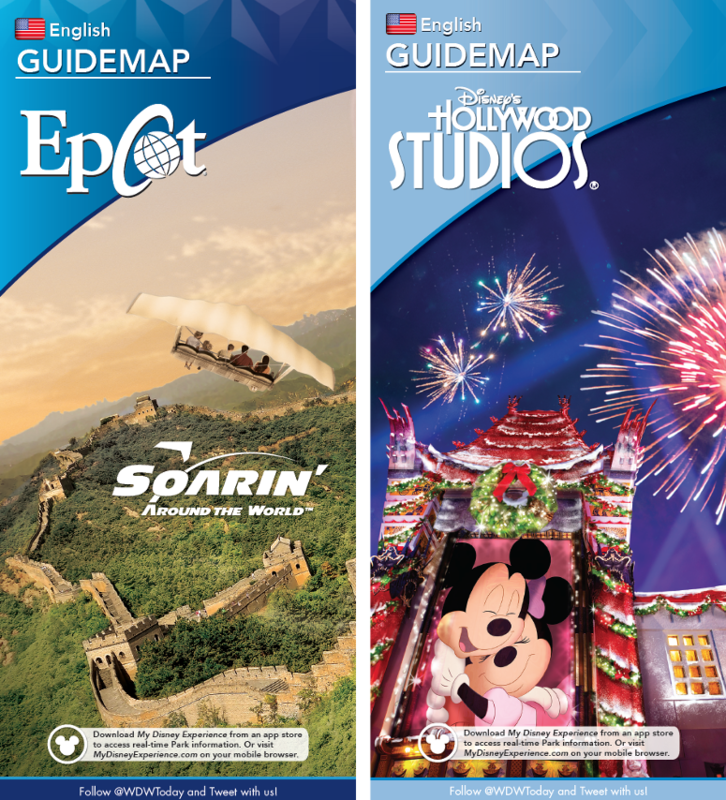 Updated guidemaps for both Epcot and Disney's Hollywood Studios will soon become available to Guests visiting the Walt Disney World Resort. Epcot 's will go into circulation on Tuesday, Nov. 15 and will feature Soarin' Around the World on its cover. Changes include the removal of the Food & Wine Festival offerings. the new map of Disney's Hollywood Studios will debut on Nov. 14. Changes for this revision include the addition of Jingle Bell, Jingle BAM! and PizzeRizzo. The new versions of the maps include updated English maps, as well as all five translations and the Guide for Guests with Disabilities. The maps will be available digitally on Walt Disney World's website.